Saturn's electrically charged atmosphere has erupted in spectacular fashion. Sungrazers are comets that pass close to the Sun in their highly elliptical orbits. 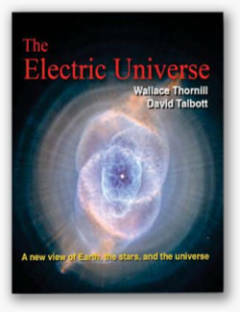 They tend to reaffirm the Electric Universe opinion about comets: If comets are the result of electrical events that took place early in the life of the Solar System, then their several "anomalous" behaviors can be easily explained. 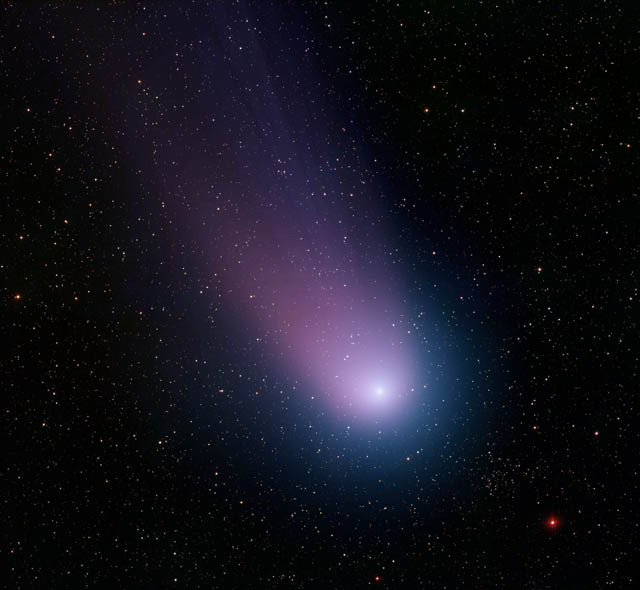 Some comet anomalies include Hale-Bopp's ion tail and coma when it was far past Jupiter's orbit, the catastrophic explosion of Comet Linear when it was over 100 million kilometers from the Sun, the desert-like, cratered appearance of Comets Borrelly and Tempel 1 (contrary to the "dirty snowball hypothesis), and Shoemaker-Levy 9's broken pieces refusing to expel any water vapor. The Sun's radial e-field is a dynamic structure, changing in strength and size depending on the corresponding strength of electric currents that flow into it. For that reason, it is in a state of constant flux, requiring just a small trigger for it to explosively discharge with solar flares or coronal mass ejections (CME). Comet NEAT initiated a CME eruption that appeared to impact the comet. Several other sungrazers have been associated with violent flares. When comet 96P/Machholz circled the Sun its intense charge differential caused a gigantic CME to blast out from the Sun for millions of kilometers.The electrical connection between comets and the Sun seems certain. 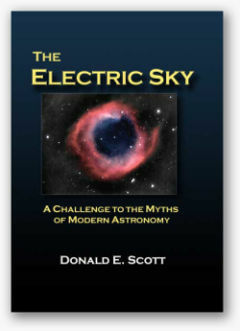 If that is the case, then the electrical connection between the Sun and its entire family of planets and moons is certain. Changes in electrical activity affect the environments of every member in that family. Saturn could be thought of as a solar system in its own right, with a family of 31 moons. It possesses a Langmuir charge sheath (plasmasphere) that isolates it from the Sun's own charge sheath that, in turn, is isolating it from the charged interstellar medium. Many things about Saturn have changed in the 31 years since the two Voyager spacecraft passed by the giant gas planet. Saturn's magnetosphere grew by more than a million kilometers and then contracted, only to begin expanding again. The spokes in Saturn's B ring disappeared and then reappeared. The equatorial thunderstorm (known as the Dragon Storm) that raged continuously broke up, moved toward the poles, and then erupted again. The most likely explanation for the storms on Saturn is that they are equivalent to sunspots. As the Sun changes its behavior over the course of a 22 year cycle, the electrical output that connects it with its family of planets varies. If Saturn's Great White Spots, Dragon Storm, and ring spokes are driven by the same galactic Birkeland currents that drive the Sun, they should get stronger and closer to the equator as the sunspot cycle oscillates. It appears that that is just what has happened over the past three decades. 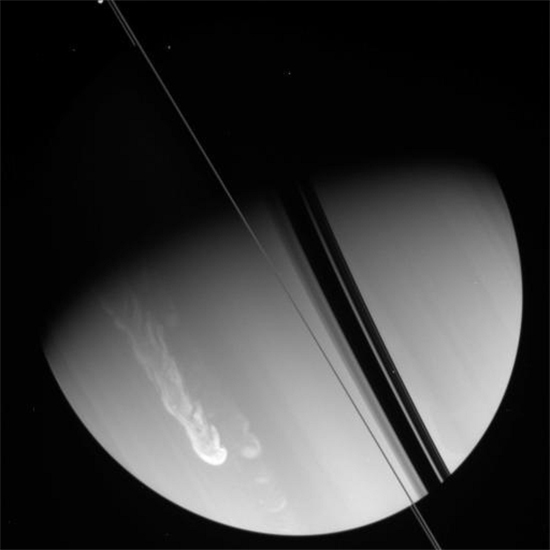 Every so often Saturn breaks out with a great white spot three times larger than Earth. Traditional models of Saturn cannot explain such a periodic outburst, but an intense lightning discharge deep in the atmosphere could cause vertical jets similar to the sprites in Earth's upper atmosphere. Its connection to the current flow in the Solar System can explain the effects that Cassini and other science packages have discovered on and around Saturn. Perhaps, like the Sun, there are other factors that link explosive discharges with electrical connectivity. Since Saturn's environment is highly charged, could objects traveling through it's vicinity initiate substantial electrical events like sungrazers do? 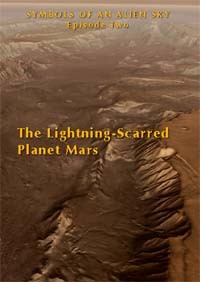 Presuming Saturn to be a highly charged object in a state of dynamic equilibrium, could a Saturn-grazer start some of the long-lasting lightning-like disturbances there? 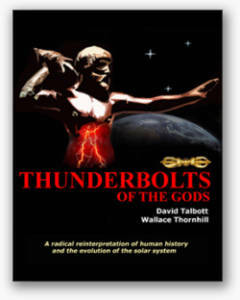 A video documentary that could change everything you thought you knew about ancient times and symbols. The Symbols of an Alien Sky video series will introduce you to celestial spectacles and earth-shaking events once remembered around the world. Archaic symbols of these events still surround us, some as icons of the world’s great religions, though the origins of the symbols appear to be lost in obscurity.